Before the 3D live surgery started, the second day of ESUT16 opened with a discussion on the merits of different technical approaches for urologists. Focussing on technique as much as technology, the state-of-the-art lectures and discussions gave a good sense of what ESUT wanted to cover in its 5th Meeting. 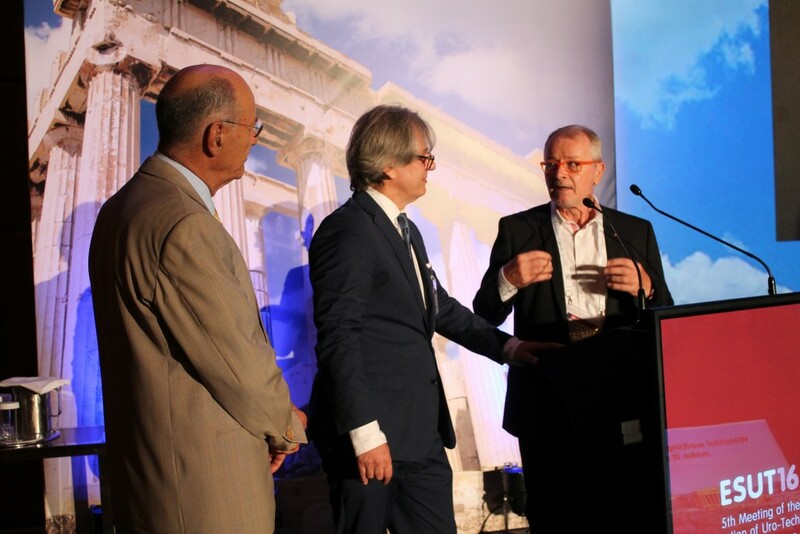 Over 600 delegates convened in Athens on July 7-10 to be informed on technology, watch live surgery and discuss with their peers. Prof. Francesco Montorsi, former Editor-in-Chief of European Urology and now Adjunct Secretary General of the EAU gave the first state-of-the-art lecture of the busy second day of ESUT16. He gave a complete update on the latest literature and evidence on anatomical and technical developments for radical prostatectomy. Prof. Pansadoro came straight to the point, citing figures of the huge adoption of surgical robots since their commercial introduction. For radical prostatectomy, 86% of all procedures were performed robotically in 2015. Speaking after the debate, Prof. Chlosta was asked if the debate was illustrative and academic, or if urologists were still evaluating robotic surgery.